With over a hundred years of service and with an ever-changing environment we continually review our practices to ensure that we are responsive to our community’s needs. As part of a regular review we engaged in a strategic planning process in 2016. 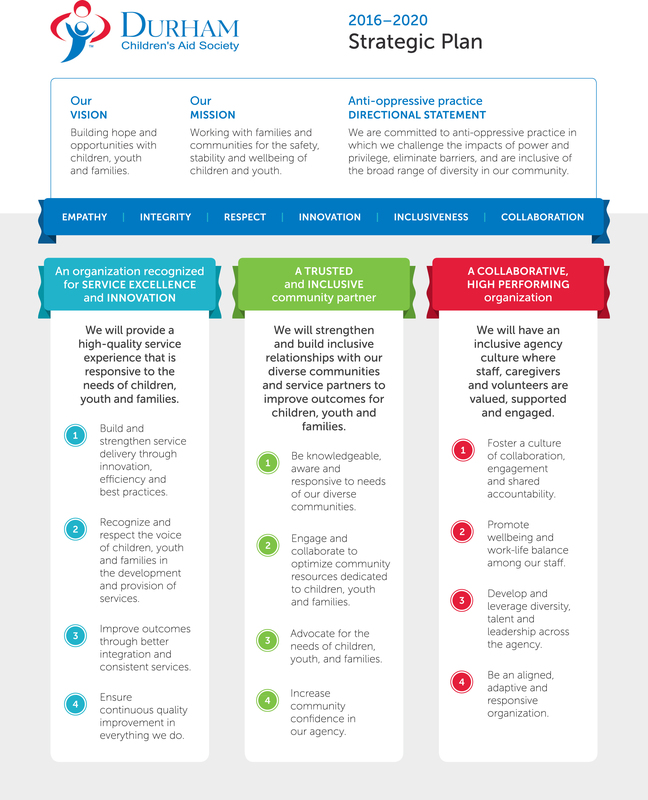 Our strategic directions and Mission were updated; our Vision remains the same. The resulting strategic plan identifies priorities and directions that will guide us in delivering high quality services in response to evolving community needs. We consulted with a wide range of stakeholders, caregivers, volunteers and staff, reviewed various policies and government directions, and identified key trends, forces and issues. From this information, we identified priorities, desired outcomes, and possible strategies to achieve these goals. View the full Durham CAS 2016-2020 Strategic Plan.